Its not uncommon for people to experience some depression at one point or another during their lifetimes. The symptoms that manifest as a result of depression can last for a significant length of time if the individual is not willing or able to seek help. Depression is a condition that can range widely in severity. Some people may just be feeling lower motivation or unhappiness without being really knowing the reason. Others may have developed depressive symptoms that are so severe, they’ll require extensive therapy to be able to cope. Mixed characteristics – the patient exhibits mania and depression simultaneously, including manic behaviors such as excessive talking, rapid thoughts, and hyper-inflated self-esteem. Anxious distress – abnormal levels of anxiety or restlessness concerning loss of control or possible events. Atypical characteristics – patients exhibit increased appetite, sensitivity to rejection, a heavy feeling in arms or legs, little need for sleep, and the ability to be cheered by happy events. Melancholic characteristics – patients exhibit severe depression compounded by a complete lack of reaction to activities that used to elicit pleasure, rousing early in the morning, critical changes in appetite, elevated feelings of agitation, guilt and sluggishness. Catatonia – patients exhibit uncontrollable and seemingly purposeless movements in their limbs or a completely immovable posture. Psychotic characteristics – patients exhibit severe depression coupled with hallucinations or delusions, these can revolve around specific themes such as personal inadequacies or other negative feelings. Peripartum onset – symptoms develop during pregnancy or during the postpartum period. Seasonal pattern – depression that is actually linked to changes in the seasons and less exposure to sunlight. If you feel that you’ve been struggling with the effects of depression, please consider talking to your doctor about it as soon as possible. The symptoms of depression will most likely get worse if steps aren’t taken to correct the underlying issues. 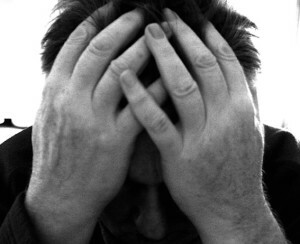 In some cases, people may develop further mental and physical complications if they do not address their depression. Others may eventually entertain thoughts of suicide.